An award-winning comedy duo are returning to The Customs House next with a new take on an old favourite. LipService and Oldham Coliseum are presenting The Picture of Doreen Gray at the Mill Dam venue in South Shields on February 24 and 25. 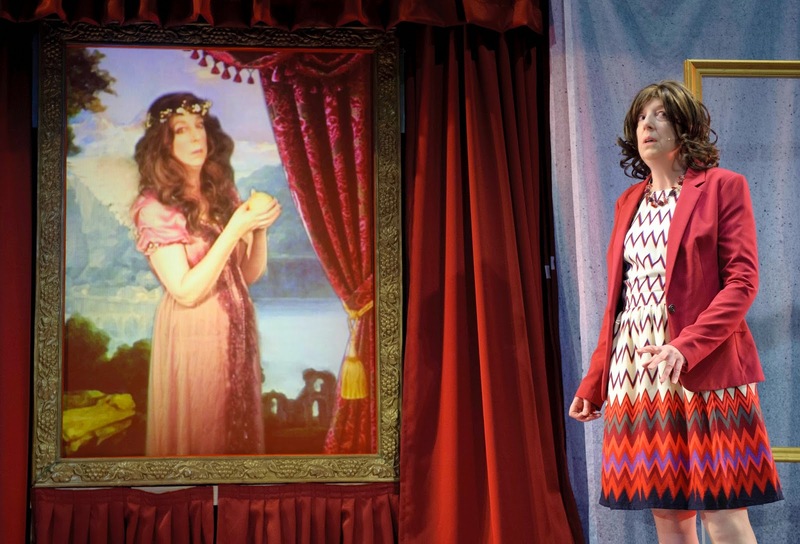 The show is a new version of Oscar Wilde’s fantasy thriller The Picture of Dorian Gray. It stars the wonderfully funny Maggie Fox and Sue Ryding together with a supporting cast of local actors in an exciting mix of filmed and live action acting. The local cast includes members of Customs Voices who were last seen in the ensemble of Get Up and Tie Your Fingers last summer. Doreen Gray has it all: a drive time radio show and a high ratings lifestyle programme on Even More 4, but hitting 50, Doreen finds her face no longer fits the bill. At a school reunion she stumbles across a youthful portrait of herself and makes a dark and dreadful pact with the picture. LipService have already brought the successful Inspector Norse, Move over Moriarty and Withering Looks to The Customs House. The show is directed by Gwenda Hughes who also directed Inspector Norse and Move Over Moriarty with music by Tayo Akinbode. Tickets are £14, £13 concession or £25 for a ticket to the show and a two-course meal in the theatre. To book or for more information visit www.customshouse.co.ukor contact the box office on 0191 454 1234.